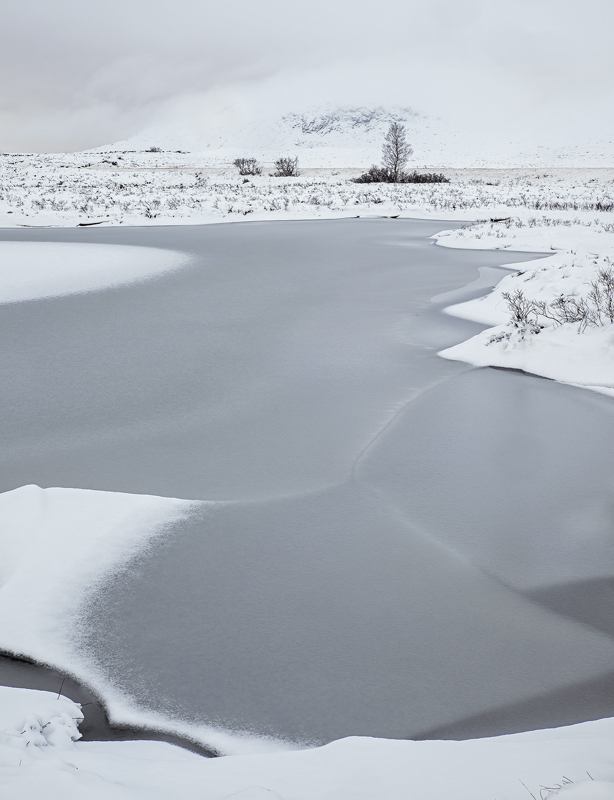 Rannoch Moor is a bleak place at the best of times, but in the winter after a blanket of thick new snow has fallen it is a winter desert, virtually barren and featureless. It does have the benefit of surreal simplicity but that comes with it a need to extract the most delicate and interesting compositions. I tried my best to extract a few in cold and testing conditions.